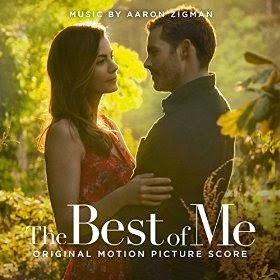 The movie soundtrack of The Best of Me will be released on October 7, 2014 by EMI Nashville & Relativity Music. 6. You Wanna Hit Me? 13. How Do I Fall Back in Love? The score will be released on will be released on October 14, 2014 by Sony Classical.